Bust out the bean bags, crank up the tunes and get some fresh air! In honor of the 25th Annual Senior Health & Fitness Day, here are four of the top exercises for seniors and older adults that are as enjoyable as they are beneficial. Click here to check out five more fun exercises. 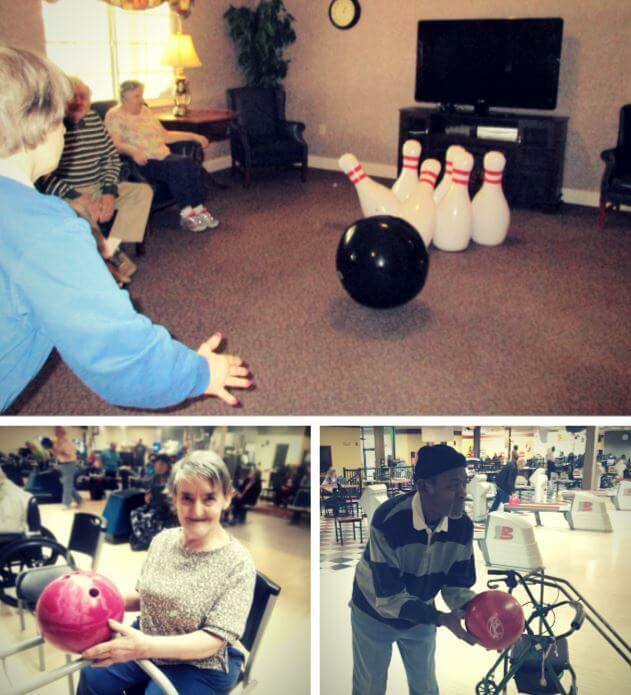 Bowling is not only a great exercise, it’s a chance to let loose and get to know your fellow bowlers! What may be stereotyped as a ‘lazy’ sport can actually help you lose weight, increase your metabolism and reduce the risk of disease, among other benefits (source). In addition to traditional bowling, DePaul residents look forward to Wii Bowling, which can improve hand-eye coordination, and inflatable bowling, like this lively game at Cambridge House. Click to watch the Cambridge House video. Arm exercises with stress balls as well as leg, breathing and stretching exercises and other movements help build strength and balance. 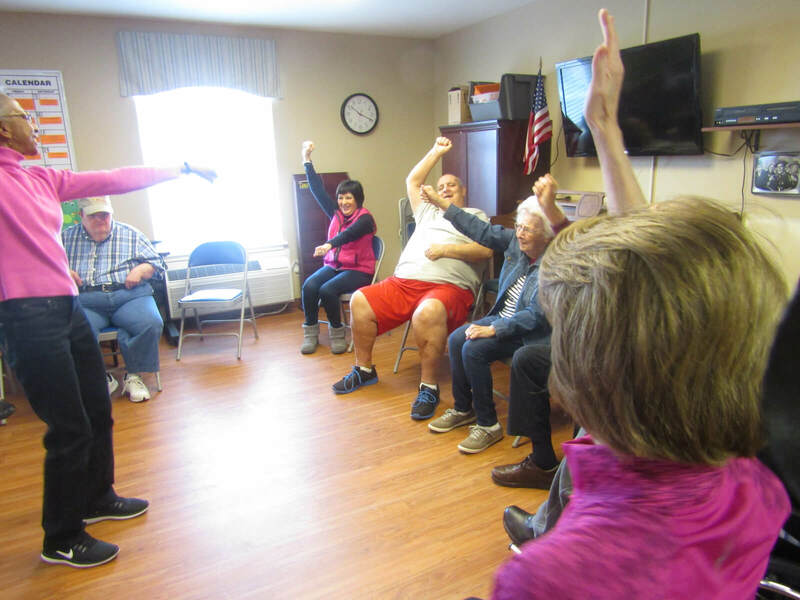 Below, volunteer Anna leads Rolling Ridge residents in chair exercises each week. Bean bag toss is another entertaining game that promotes light stretching and hand-eye coordination. Seniors at Twelve Oaks even got plenty of Vitamin D when they soaked up the sun’s rays during several rounds of bean bag toss. Click to watch the Twelve Oaks video. DePaul residents embrace the chance to dance! Watch the video of the Robeson Rockers encouraging Prestwick Village residents to get up and move to Chubby Checker’s ‘The Twist’! 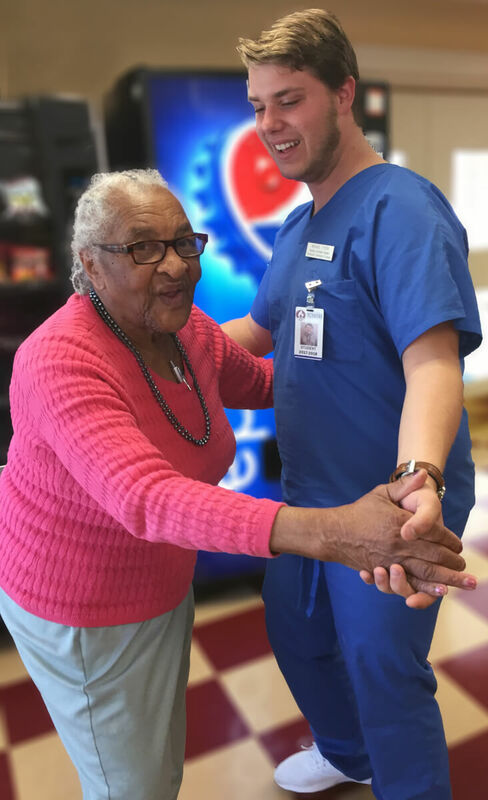 Susie, a former dance instructor who lives at Wexford House, has been teaching basic steps to residents for several years! Click here to watch the Wexford House video. 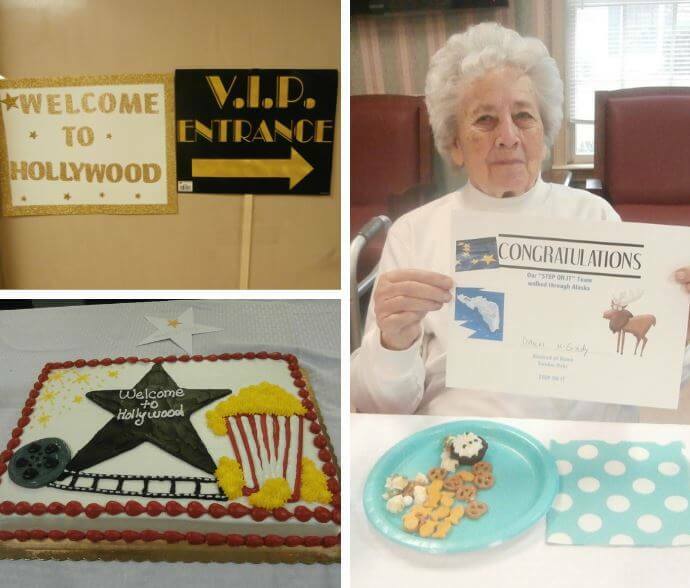 Not only are Twelve Oaks residents walking their way to fitness, they’re tracking steps to ‘travel’ to various spots around the globe and ending each journey with a themed party! Highlights so far have included ‘trips’ to Alaska, Hollywood, and Mexico with a trip to Maine underway. Walking is proven to improve one’s mood, balance, and coordination among numerous other benefits (source). DePaul senior living communities in New York, North Carolina and South Carolina offer a full schedule of life-enriching activities, fun outings and events, and worship services. Learn more about our assisted living options. I find it cool that letting seniors play bowling can help a person lose weight, increase metabolism, and increase resistance against disease. Reading this gave me a great idea on how my kids can spend time with their grandparents. I will find a local alley so that we can all play together and give them a place where they can hang out. Thanks!